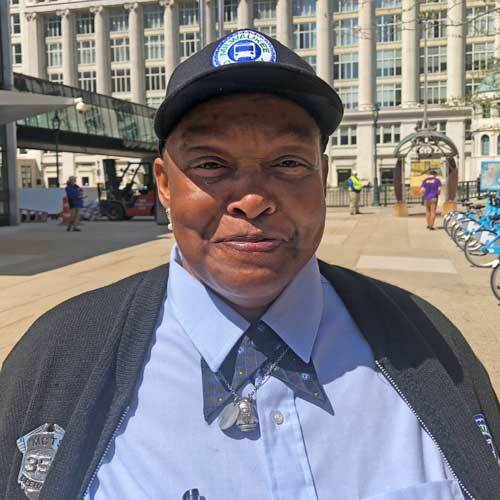 Felicia Moore was driving the Route 53 on May 10, 2018 when she saw a boy on a bike about a block away get clipped by a car as he crossed the street. As other cars passed the boy by, Felicia stopped an asked him if he needed a ride. "He was scared and I wanted to let him know he was ok, that I had him and that he was safe and that I would get him to school and get him there safely," Felicia said about her actions. Felicia, who has a son that is a similar age to the boy, put the boys bicycle on the bus and drove him a half mile to Lincoln Elementary School. The boy thanked her with a simple "thank you" and headed into school. The heartwarming act went viral, with local, national and international news sources running the story. For Felicia's part, she says she just did what any mother or person would do - help someone in need.